PE-1012 Palette Extension Board 10"x12"
Easy-to-use. Can be mounted on all EASyL easels, any pochade box, or French easel. Large size: Approx. 10"x12" provides ample space for color mixing or area for paints, brushes or palette cups. Made from beech wood, one of the hardest wood, ideal for palette to mix directly on the surface. Six brush holes sizes to hold from #2 to #12. Carefully designed edge rim to prevent supplies from falling off when easel is tilted. Can be stored inside the EASyL easel box (all models) at end of painting. 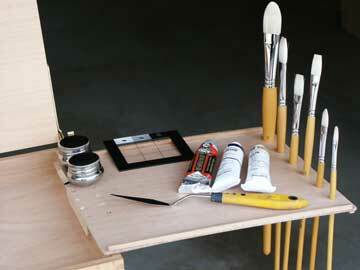 The bottom side of the palette extension board has an opening adaptable to the side edge of the easel box. 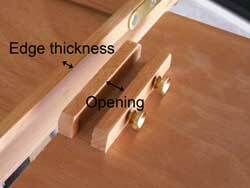 The thickness of the edge on the easel box can be 1/2" or less. 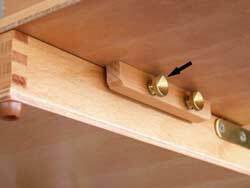 Two thumbscrews to secure the board when mounting on the easel.